In PlayerUnknown’s Battlegrounds, frying pans aren’t used for cooking but for melee and blocking bullets. Recently in South Korea, a politician brought a golden pan to an assembly to talk about the game’s success. In August, golden frying pans were given as trophies at the Gamescom PUBG Invitational tournament. 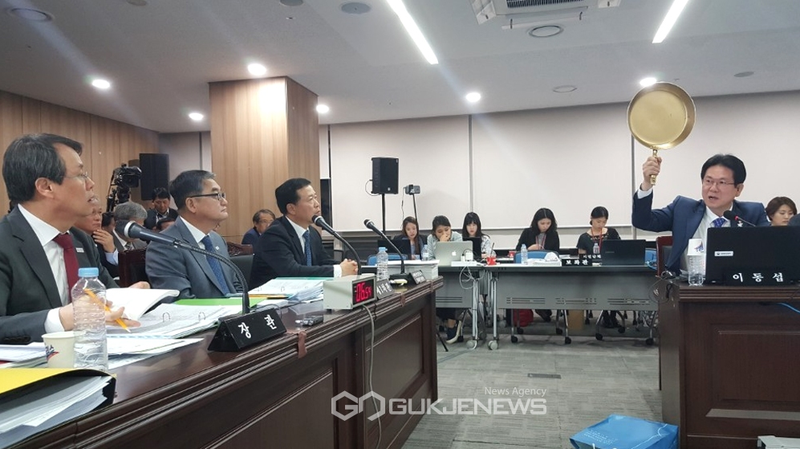 As reported on Wiki Tree and Gukje News (via tipster Sang), Congressman Dong Sub Lee brought a gold pan to a government audit hearing for Ministry of Culture, Sports and Tourism. The politician then requested that the ministry provide a solid foundation for PlayerUnknown’s Battlegrounds so that the country will see more success stories like this.